The open gaming console Ouya has just landed on Kickstarter, with a campaign that aims to raise no less than $950,000 to bring its prototype to the market, at a remarkably low price of $99. While its target is definitely in the high pledge range, Ouya’s fundraiser is only one of the growing number of gaming device projects that have already, or are currently, raising money on the crowdfunding platform. For instance, the gaming accessory Ringbow is only days away from reaching its $100,000 goal. Yet, Ouya is exceptional by its ambition, which has already generated some substantial buzz in the gaming world. As a matter of fact, the team has prestigious advisers, such as Ed Fries, who was one of the original members of the three-person Xbox team. The first thing you’ll notice when looking at Ouya is its stunning design. This is the work of Yves Béhar, who is also responsible for Jawbone’s revolutionary UP health wristband and also worked with Barnes & Noble on its Nook e-readers. In addition to the console itself, Ouya also includes a neat controller, with both buttons and a touchpad. 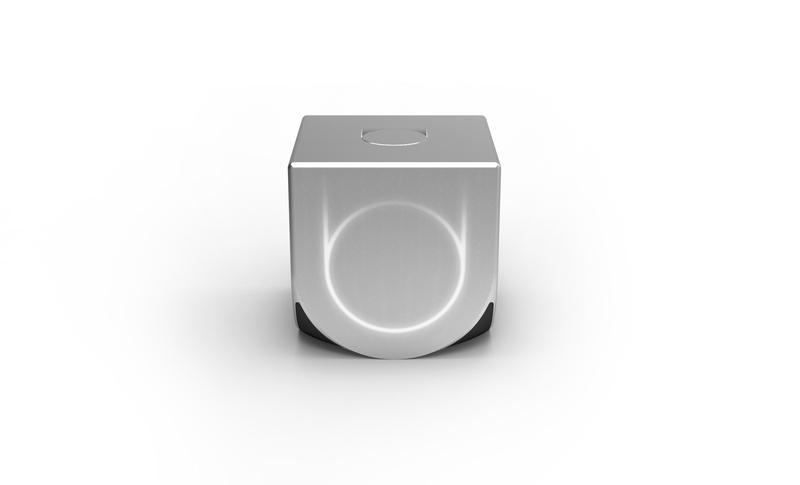 Beyond its looks, Ouya aims to bring gaming back from mobile to the living room, while challenging the status quo that consoles have to be walled gardens. Instead, Ouya hopes to bring an Android-like approach to the console world, by launching what its team describes as the first open console (see our interview with its founder, gaming industry veteran Julie Uhrman). While it is built on Android, it will have its own marketplace, with a key difference compared to its competitors: all games will be free to try, at least to some extent. Other than that, developers will be free to use the platform as they wish, and monetize games by the means they see fit, Ouya’s team says. Will you support Ouya’s campaign? Let us know in the comments!